Australia's solar irradiance is off the charts. Credit Geoscience Australia. central Mozambique on Thu or Fri as an intense cyclone. PM has been accused of demonising Israeli Arabs in lead-up to April election. commercially this season after more than 10 years of development. reveals, but locals say the public has not been warned. scarred and disfigured by one of the world's worst pharmaceutical disasters. 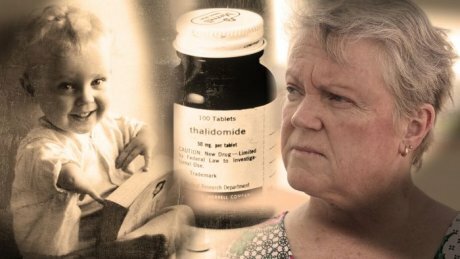 Now, 5 decades on, these thalidomide survivors are seeking justice. individuals acknowledging they're working on behalf of "foreign principals". Australian households are among the world's most indebted, Ian Verrender writes. expert says crash investigators are generally "not big believers in coincidence". winning pref govt 54 to 46 percent. 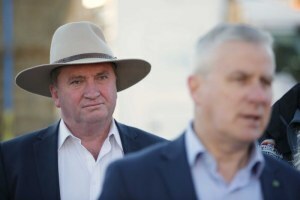 "elected deputy prime minister of Australia" in an interview today. has called that into question, writes Hassan Vally. make a dent in carbon emissions, studies have recently revealed. Hits a scam! Hits much better to spend 5X more money on stainless steel & spend 20 years building a nuke!